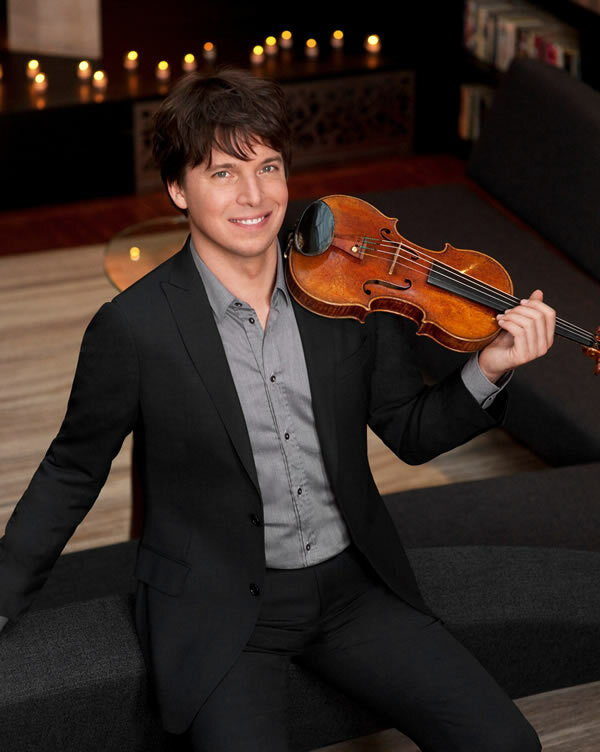 Joshua Bell — Laguna Beach Live! Named by Musical America as the 2010 Instrumentalist of the Year, records exclusively for Sony Classical a MASTERWORKS label bringing new audiences to classical music and new music to classical audiences. Bell’s first sonata recording of French repertoire, which is also his first duo recording effort with Jeremy Denk, will be released in 2011. Recent releases include the soundtrack to Colored Girls, At Home With Friends, featuring Chris Botti, Sting, Josh Groban, Regina Spektor, Tiempo Libre and others, the Defiance soundtrack, Vivaldi’s The Four Seasons, The Tchaikovsky Violin Concerto with the Berlin Philharmonic, The Red Violin Concerto, The Essential Joshua Bell, Voice of the Violin and Romance of the Violin which Billboard named the 2004 Classical CD of the Year, and Bell the Classical Artist of the Year. Since his first LP recording at age 18, Bell has made critically acclaimed recordings of the concertos of Beethoven and Mendelssohn both featuring his own cadenzas, Sibelius and Goldmark, as well as the Grammy Award winning Nicholas Maw concerto. His Grammy-nominated recording Gershwin Fantasy premiered a new work for violin and orchestra based on themes from Gershwin’s Porgy and Bess. Its success led to a Grammy-nominated all-Bernstein recording that included the premiere of the West Side Story Suite as well as a new recording of the composer’s Serenade. With the composer and double bass virtuoso Edgar Meyer, Bell appeared on the Grammy-nominated crossover recording Short Trip Home and a disc of concert works by Meyer and the 19th-century composer Giovanni Bottesini. Bell also collaborated with Wynton Marsalis on the Grammy-winning spoken word children’s album, Listen to the Storyteller and Bela Fleck’s Grammy Award winning Perpetual Motion. Bell has premiered new works by composers Nicholas Maw, John Corigliano, Aaron Jay Kernis, Edgar Meyer, Behzad Ranjbaran and Jay Greenberg. Joshua Bell and his two sisters grew up on a farm in Bloomington, Indiana. As a child, he indulged in many passions outside of music, becoming an avid computer game player and a competitive athlete. Bell received his first violin at age four after his parents, both psychologists by profession, noticed him plucking tunes with rubber bands he had stretched around the handles of his dresser drawers. By 12 he was serious about the instrument, thanks in large part to the inspiration of renowned violinist and pedagogue Josef Gingold, who had become his beloved teacher and mentor. In 1989, Bell received an Artist Diploma in Violin Performance from Indiana University. His alma mater also honored him with a Distinguished Alumni Service Award only two years after his graduation. Bell performs on the 1713 Gibson ex Huberman Stradivarius violin and uses a late18th century French bow by Francois Tourte.